I consider Rick Warren, pastor of Saddleback Church, one of my spiritual mentors. He often touches me when I need a wake-up call or gives me a confirmation that I am doing what God wants me to do. This particular series, “Daring to Commit,” reminds me to give thanks and gratitude for the support of the numerous women who volunteer in the Motherless Daughters Ministry in so many ways. There are blog writers, website administrators, board members, facilitators, group leaders, financial donors, event organizers, Facebook writers, and the list goes on and on. This ministry exists because they have “Dared to Commit” their time, their talents, and their financial gifts to the ministry and helping motherless daughters all over the world. Every year we celebrate and recognize the volunteers and donors who have given so much. At the last recognition, we asked them to write their thoughts and answers to a series of questions. #1 WHAT IS THE INITIAL REASON YOU BEGAN VOLUNTEERING OR DONATING TO THE MDM? Being called and wanting to help other women. After “needing a mother,” God gave me friends to answer the need. I received so much from this ministry; healing, forgiveness, self-reflection. I feel passionate about giving back to this ministry. I want other women to know they are not alone, and they can move forward. #2 WHAT IS THE BEST EXPERIENCE YOU HAVE HAD WORKING WITH THE MDM? The best part of the MDM is meeting all of the awesome people. Lifelong connections with other participants and facilitators. Helping women face the courage to change. Sharing with other women to know we are not alone. Watching the transformation in women from one week to the next in the Journey class. I absolutely loved the retreat (2016). #3 WHAT ARE THE TIMES WHEN YOU JUST KNEW GOD WAS PRESENT IN YOUR WORK WITH THE MDM? Each time I healed another layer I knew God was present. When I got answers to questions and prayers that I asked 20-30 years ago. When I felt the Holy Spirit prompt me to say the right thing. To see the glow in the eyes of my spouse. When I saw women in the program being transformed. Watching women find forgiveness and freedom. 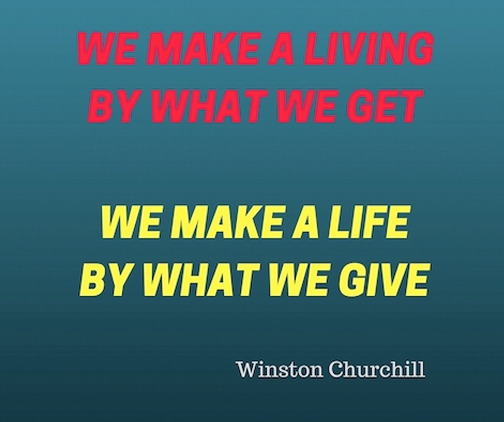 #4 WHAT GIFTS HAVE YOU RECEIVED AS YOU HAVE HELPED OTHERS? Love, support, guidance, friendship, forgiveness and gratitude. More grace and mercy to keep giving of myself. The ability to lead others to change their life is a gift. Encouragement, relationships with other women with similar experiences. Peace, love, knowing it is all a part of God’s plan. A sense of community as well as inner growth. #5 HOW HAVE YOU CHANGED? Closer relationships with God, women. Not angry anymore. Feel more competent leading women. Able to push myself out of my comfort zone more easily. Knowing God is in control of healing. Confident, more prayerful before opening my mouth. Better listener. Listening to God’s direction. Realized everything that happens, there is a reason, and I’ve changed by realizing His hope and His promise. Closer relationship with God, understanding the loss. Amazed to watch God’s healing always manifesting. #6 WHAT ARE THE GREATEST CHALLENGES YOU HAVE HAD IN YOUR ROLE? Wanting to help participants see the obvious before they are ready to. Breakthroughs are in God’s timing. Trusting in and through the process of growth. #7 WHAT HAVE OTHERS SEEN OR SAID ABOUT YOU AND HOW YOU HELP WOMEN? Passionate, selfless listener and strong message to share. Love that I love this ministry so much and helping women. They went on to summarize the real story of the Motherless Daughters Ministry. When we work together, we can maximize our impact, minimize our failures, and mobilize our resources. Want to be a part of our volunteers? Go to [email protected] . Thanks to all those who dare to commit to helping motherless women all over the world. You are so welcome. I just love all of these women. I am blessed to walk with them.